You might not be the brightest tactical mind or the sharpest shooter. You may never take home a chicken dinner. That does not mean, however, that you’re barred from winning the most important battle of all: fashion. 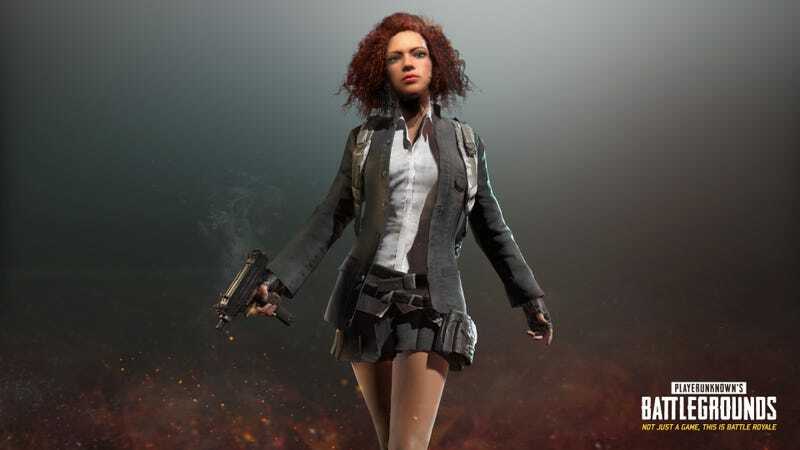 While PlayerUnknown’s Battlegrounds won’t be implementing a permanent microtransaction-based loot crate and key system until the game’s out of early access, the developers plan to take the system for a test drive starting next week. Of three new crates they’re adding to the game, one—the Gamescom Invitational Crate—will cost $2.50 to open. Proceeds will go toward organizing a corresponding IRL event at Gamescom in Germany, providing a prize pool for winners, and charity. On August 27, the Gamescom crate will disappear into PlayerUnknown’s Battlevoid, never to be seen again. The other two crates will be free, and all of them will contain new cosmetic items. In addition to these new crates and skins, August 3 will also see the release of first-person-only servers and other first-person options. Presumably, these are being added in order to lay the groundwork for a mode where players just ogle each others’ cool clothes all day.